Welcome to the twelfth #SatSunTails micro fiction competition. You may enter until Monday 10am GMT (because I’m extra kind like that). Our one hope, the healers. The winged insects that would cleanse the world hovered amidst brilliant bands of color, as we basked in radiant reds, blues, greens and purples. Smog lifted from the cavern, and fresh air filtered in. Victory tasted sweet on our palettes. Yet, this victory was short lived. Time slowed to an aching crawl when Volimar struck his dying blow. He was beaten. Yet, crippled and dying, that devil let loose one last incantation, gurgling blood as he spoke. In our arrogance we forgot the key lesson Aromona had taught us. Broken glass seeped up from the floor. Cutting. Ripping. Tearing. All our hopes dashed in one slow agonizing blow. No, he didn’t kill us swiftly. Instead, the sorcerer shredded our precious butterflies. Shards of glass rose, and blood fell. Now we live in a dying world. Better to be dead. 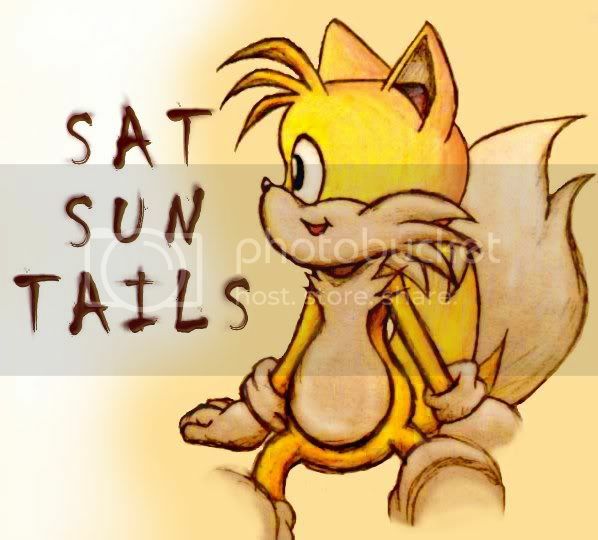 OK this is my first SatSunTails story so please be kind! Underneath the inconsequential beat of a butterfly’s wings the air stirred, the heady stillness interrupted. Tamsin slowly let out the deep breath she’d been holding realising she wasn’t the only living thing trapped in this place. From somewhere came a distant memory of her real father, a kind and gentle man. He once sat her on his knee and told her if you simply touch a butterfly’s wings you take away its ability to fly – forever. Underneath her seemingly inconsequential bruises beat a crushed heart, stirring now at the plight of her fellow prisoner. Despite knowing it was foolish even attempting to catch the timid creature she slowly stretched out her finger and waited. This time holding her breath in hope. Her reward was as soft and delicate as a lover’s kiss. The window deliberately didn’t open very far but thankfully just enough. At least one of them would fly. Wow, great use of theme. Powerful ending line. It all came down to blood. Even here, outside the dungeon, in the open air, she needed it. “Doesn’t that feel good?” David crooned, stroking her skin. A butterfly caught his attention and hers. She watched it drink from a flower. Underneath the inconsequential action was the deep meaning, the thirst. Blood. David’s fingers teased and her breath quickened, but she couldn’t climax, couldn’t reach her peak. It all came down to blood. “Come for me, Sylvie,” David chanted, using an open hand to slap her. It increased her pleasure but didn’t do what she needed. Flexing fingers, she found a stone and rolled it into her hand. One side was sharp. She arched her back, exposing herself to David, who was eager to please. Holding the stone in one hand, she pressed hard against the other, dragging it to make a jagged line on her palm. Everything turned red. "Everything turned red." Love the imagery, and needed blood was a fantastic idea. Thanks for the compliment, I was writing slightly out of my comfort zone so I'm glad you liked it! She hadn't noticed the drawing on entry to The Artist's room – the light was off and it lay there on the desk. A half finished butterfly, with ribbon like wings stretching across the centre of the otherwise uninteresting paper. In a similar manner to her obliviousness to the drawing, The Artist didn't notice her upon entering. She had concealed herself well, leaving just a crack in the cupboard to peer through. He was but a silhouette against the dull orange glow of his lamp, and the moment he sat down to start working again she, in one swift movement, flowed from her hiding corner and brought the hammer down through his skull. Only then, did the butterfly catch her eye. It would be wrong, no, blasphemous, to leave it in that state. So she picked up a paintbrush, and crouched over his skull, reworking his masterpiece. 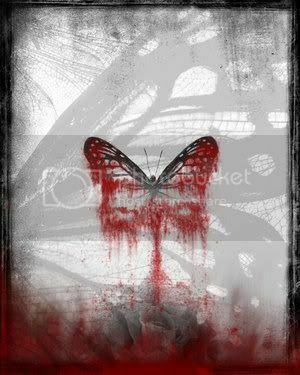 Upon his palms lay the stunned butterfly, its wings silently pulsating. The young boy tentatively placed the tip of his thumb and forefinger and began to tweeze each antenna. A curious smile crept upon his cheeks, and he continued. He rolled onto his bloated stomach, stroking the insects’ iridescent wings. 'Pretty…' He murmured, pushing a finger up the sides of each wing, catching the glimmer of these virgin colours: Amethyst, Apple Green and Aquamarine. Next, he reached for his scalpel. With delicacy, the young boy laid the weak creature on the grass and began the operation. Starting with the wings, he showered the edge of his tool over the scales. He pricked his patient, stabbed the vertebrae and adroitly fanned out his wings. Never before had he seen such a flawless masterpiece, he didn’t believe in perfection. Realising what he had done, he raised the mortal to his lips and gave it one pardoning kiss. Inside pretty things it is messy. Not so pretty anymore once opened and spread around. Messy things are real. Life is messy. The universe is messy. Pretty things are fake. But Toad knows how to fix them. Toad can reach through the barrier and catch insects. He especially likes to catch the bright colorful ones. Underneath the inconsequential veneer of beauty they are so juicy and smear-able. Toad rubs them over his cell and his body. Sometimes he eats them. Time is slow in Toad’s cell, where no one ever visits. Talking to himself, Toad laments the unfairness of it all. He just wanted to make things real. The poor prisoner must indeed be a very old man by now. When did they last visit him? Thousands of years at least. They didn’t care. Toad only wanted to help. Poor, poor, girl. She was so fake. Toad just wanted Toad’s sister to be real. She hadn’t meant to take it this far, but now the van door was open and he was on top of her, sweaty, young, and not waiting for anything. His jeans rubbed her stomach roughly where her shirt failed to meet the top of her jeans—by a foot at least. It was ridiculous, borrowing Lani’s clothes, sneaking off to the park. But she needed him right now like she needed air. He yanked down the top of her jeans, exposing the stupid butterfly she’d added to her hips just minutes before with a wet paper towel. She’d borrowed that too—Lani wouldn’t miss it. Suddenly the van door rolled open. A tall blonde beauty, the real deal, young and ripe, stared in at them—so like her, but younger like him. I finger the dressing on my neck. It’s not what you’d call unobtrusive, this tatt. Half butterfly, half bloody corpse. Symbolic, I like to think. I walk to fridge, fling open the door and stare. Rows of cartons. Tomato juice, she says. De-tox. Bending down, I pick up the bag I brought back from Cancun. It’s narrow, heavy. After the last show, girls started disappearing. Rivals. I touch the cartons. They’re red, blood-red. Look underneath the inconsequential and you’ll always find something. Folks will do anything to stay young. Opening the zipper, I reach for the stake. The cool of the cave permeated my skin, tickling the baby hairs at the edge of my scalp. The light of my electronic torch moved up and down the rock walls like a tiny search light, hunting for the thing that had excited my assistant. “Right over here!” she chirped, bouncing in her hiking boots. I followed the line of her outstretched arm to her index finger: a living post-it note that read “Don’t lose this spot!” I stood beside her and illuminated the wall with my flashlight. Near the top, there grazed a generic cave-painting of a buffalo. But underneath the inconsequential buffalo, I came upon something extraordinary: the outstretched form of a black and red butterfly with the red edges melting down the wall like wet paint. I touched the red with my fingers to find that it was something else entirely-—blood. What an interesting and different setting! I was transported through a micro-singularity to this world. It is located underneath the inconsequential, just up the way from the immaterial at the intersection of Ignominy and Obscurity. Those responsible provided for my needs humanely enough. I have a cabin with devices capable of providing all necessities. The power cells will far outlast me. There are no humanoid or other higher life forms here. There are some small mammals and such but little more. I immediately set to indulging my hobby of taking that which is alive and making it no longer so. It is the selfsame hobby that led to my imprisonment here, in fact. By trial and error, I have found that precisely flashing light draws the large lepadoptoroids here. Engorged with blood, they make a most delightful auditory and visual spectacle when they strike the unyielding fabriglass windows. It amuses me as I puzzle out which species I shall exterminate next. Shev stared in horror at the body of the Fairy diplomat. “He said he needed to use the wash room. The only way in is through that window.” The frightened fairy indicated a window, too small for a small Sprite to crawl through, let alone a Troll assassin. “Since when do butterflies bleed,” Bree asked.